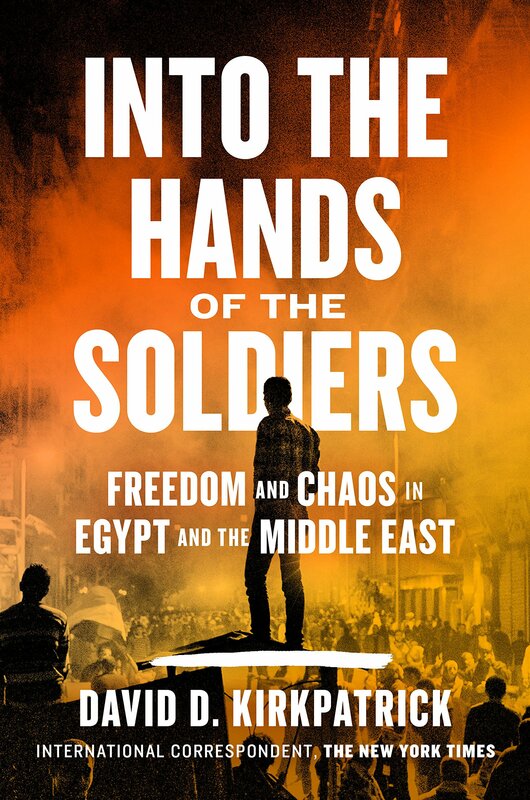 An Excerpt from David Kirkpatrick's "Into the Hands of the Soldiers: Freedom and Chaos in Egypt and the Middle East." When David Kirkpatrick moved to Cairo with his wife Laura and their young sons in the summer of 2010, he expected his time as Middle East correspondent for the New York Times would be fairly quiet. But six months into his stay, Egypt exploded into revolution, despite assurances from experts, including Secretary of State Hillary Clinton, that the Egyptian government was "stable." 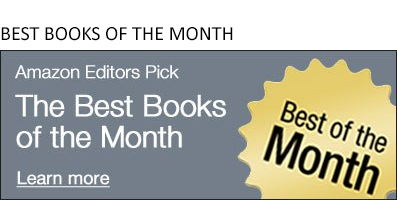 In his new book, Into the Hands of the Soldiers, published this week by Viking, Kirkpatrick depicts the uprising and its aftermath from his unusual perspective as a journalist new to the country, who by his own admission "had never covered anything grittier than Congress, books, or business -- not even a house fire." Kirkpatrick learned on his feet, and his book provides a fascinating, emotional look at these historic events and Egyptian culture, which may not have been ready for the challenges of democracy. "What happened to the nonviolent, secular-minded Western-Friendly, Silicon Valley uprising that we cheered in Tahir Square?" he asks. "Who stole that revolution?" That image of the revolution, he concludes, "was as much about Western narcissism as it was about Egypt." We hope you'll enjoy this excerpt from Into the Hands of the Soldiers, in which Kirkpatrick describes his early days in the city where he was, within a few months, to witness so much violence and turmoil. My introduction to Egypt was an iftar—the ritual meal at dusk to break the Ramadan fast—on a gritty day in August 2010. My family and I had moved that week into a one-story villa in Maadi, a leafy district about six miles up the Nile from the New York Times bureau on the island of Zamalek. Both neighborhoods— Maadi and Zamalek—are full of Western expats and Egyptian old money. I had a twenty-minute drive to work if the streets were empty. Usually the lawless traffic made the trip more than an hour. Mercedes sedans and Land Rovers veered around donkey carts stacked with carrots or garlic. Families of four or five crammed onto the backs of Korean motorcycles, and mothers rode sidesaddle with infants in their arms. My wife, Laura, and I had hauled our one-year-old’s car seat all the way from Washington. We felt so fussy. I was drawn to Egypt in part by the terrorist attacks of September 11, 2001. I knew the roots of Al Qaeda and its ideology ran back to Egypt. Also, I had turned forty in 2010. I wanted a change from Washington, where I had reported for the previous six years. That was about the extent of my preparation for my posting in Cairo. I was thrilled with the job. Egypt, home to a quarter of all Arabs, had set every major trend in religion, culture, and politics across the Arab world for more than half a century. Egypt commanded the largest Arab army and held together the region. It kept the peace with Israel. After Israel, Cairo had received more United States aid over the decades than any other country—over $70 billion, at a rate of $1.5 billion a year at the time I arrived. Whatever happened in Egypt was in a way an American story. The skinny apparatchik in charge of the international news media had welcomed me to Egypt just a few days earlier. He told me that the Foreign Ministry had recalled him from the San Francisco consulate to apply his public relations expertise to the upcoming reelection of President Hosni Mubarak, who was then eighty?two and seeking his seventh five?year term in office. But the genial bureaucrat, Attiya Shakran, talked mostly about how sorry he was to leave San Francisco. Expect laziness and dysfunction from Egyptians, he told me. IBM in Egypt stood for Inshallah, Bokra, Malesh—God willing, tomorrow, sorry! About three dozen people had gathered for the iftar in a private dining room high in the Sofitel hotel on the tip of Zamalek, with a sweeping view of the river. U.S. ambassador Margaret Scobey opened the event by recalling the iftar President Thomas Jefferson had hosted at the White House. She reprised the main themes that President Barack Obama had laid out in a speech in Cairo the previous year, about “a new beginning” for American relations with the Muslim world. But she left out the indelicate parts, like Obama’s Quranic admonition to “speak always the truth,” or his nod to the universal right “to speak your mind and have a say in how you are governed.” My table felt like a scene in a World War I movie where warring generals meet for tea during a break in the battle. The embassy had invited some of Egypt’s most notable dissidents and they were seated with me. One was a shaggy-haired, foul-mouthed blogger known for publicizing videos of police abuse and sexual harassment; the security services had recently shut down his website. Another was an Egyptian political scientist at the Amer? ican University in Cairo who specialized in the defects of Arab authoritarianism. And a third was a researcher for Human Rights Watch. Mubarak kept the organization in a legal limbo, refusing to either fulfill or reject its license application, which meant that at any moment his police could jail its researcher, Heba Morayef. On the other side of the table were American diplomats and Mubarak officials, all chatting amiably with the dissenters and me. Was I familiar with the figs and soup traditionally served first after a day of fasting, to reawaken digestion? Had I tried kushari, the beloved staple of Egyptian cuisine? (Rice and pasta mixed with lentils and garbanzo beans, flavored by three different sauces at once—vinegar and garlic, tomato, and hot pep? per.) Or how about roasted pigeon? It was a delicacy here. We made small talk about politics in Washington and Cairo. So many contradictions hung out in the open in the late summer of 2010. Facebook pages borrowed Silicon Valley marketing techniques to agitate against Mubarak and attracted an audience running into tens of thousands. A left-leaning activist group calling themselves the April 6 Youth Movement, after the date of a wildcat strike at a textile plant, claimed more than seventy thousand online members. But a newspaper columnist who questioned the president’s health was sentenced to jail for destabilizing the country. Membership in the Muslim Brotherhood was illegal, but eighty?eight of its members served openly in Parliament. They made up 20 percent of the otherwise docile chamber and constituted Mubarak’s only real opposition. Egyptian papers covered the sayings and doings of the Brotherhood’s “general guide,” a sixty-eight-year-old veterinarian, in the same way the New York tabloids might cover the city’s Catholic archbishop (or, for that matter, the way the Egyptian papers covered the pope of Egypt’s Coptic Orthodox Church, whose members made up about 10 or 15 percent of the population). Conservatives in the Brotherhood’s leadership—including an obscure engineering professor from the Nile Delta named Mohamed Morsi—had recently forced off its governing board their movement’s most charismatic moderate, a physician named Abdel Moneim Aboul Fotouh. But in the summer of 2010 the Brotherhood was collecting signatures for the presi? dential candidacy of Mohamed ElBaradei, the Noble Prize–winning diplomat who had become the Arab world’s best?known liberal. Strange bedfellows. Of course, Mubarak would never allow ElBaradei to run. The state newspapers were busily besmirching him with bogus reports that he had abetted the American invasion of Iraq. One paper published pictures of ElBaradei’s daughter in a bikini—a shocking indecency to most Egyptians. ElBaradei’s aides found audio surveillance bugs in his office that summer, and the government made almost no attempt to deny or censor reports that intelligence agencies—the mukhabarat—were behind it. I was the only one surprised. No one saw any chance that the character of the regime might change any time soon. That is why government officials and prominent dissidents could dine together so comfortably. Yet the daily dysfunction of the state boggled my mind. Fiefdoms within the government bureaucracy sparred publicly with one another. Judges protested that the police threatened their independence. Diplomats rolled their eyes at their geriatric president. And the military and interior ministries more or less openly competed with one another for influence and power. In 1986, several thousand police conscripts had staged an armed insurrection. Army troops fought them with gunfire in city streets and hotel lobbies. Now the gossip buzzing around the embassy iftar was about how much animosity the military commanders felt toward the president’s son and heir apparent, forty-six-year-old Gamal Mubarak. He stood to become the first Egyptian head of state from outside the military in fifty-eight years, since Abdel Nasser’s Free Officers overthrew the British-backed monarchy. Gamal—or Jimmy, as hip Egyptians called him—had gotten rich as an investment banker in London and Cairo. Then his father installed him atop the ruling party and began grooming him for high office. Everybody was doing it. Haze al-Assad had bequeathed power over Syria to his son. His fellow dictators in Tunisia and Libya were in the process of passing on their jobs to members of their families. Plenty of Arab states were straight-up hereditary monarchies (Jordan, Morocco, Saudi Arabia, and four of its Persian Gulf neighbors). So why not Gamal? He was pitching himself as the leader for a new generation: the three out of four Egyptians under forty, and the two out of three under thirty-five. I was seated next to a close friend of Gamal’s, Tamim Khallaf. He was a diplomat who had gone to college with the researcher for Human Rights Watch. Now he had been seconded by his ministry to help tutor Gamal. Khallaf told me that he had watched the 2008 American presidential elec? tion from a fellowship at Harvard, and when he learned I had covered the race he was full of questions. What had happened to Hillary Clinton? Had Sarah Palin hurt John McCain? I had a question for him, too. Would his friend Gamal really run for president to succeed his father in 2011? Khallaf practically winked at me. The Mubaraks were treating the presidential palace as a personal plantation. I would later learn that the chief of military intelligence, General Abdel Fattah el Sisi, was in the midst of tackling the same question. Intelligence in the Arab world sometimes includes spying on a head of state himself, and Sisi had reported to the top generals that summer that the president might hand his office to his son as soon as the elder Mubarak’s eighty-third birthday, in May 2011. Sisi predicted to the generals that Egyptians would rise up in revolt. Mubarak would respond by ordering the army to quell the unrest. Then the generals would face some decisions. The army had crushed bread riots under President Anwar Sadat in 1977 and the police mutiny under Mubarak in 1986. But the military was a barony of its own. It held the heavy weapons, and its obedience to any civilian was still a matter of choice. Would the generals answer the president’s call? As recently as January 2010, at a ceremony for his promotion to chief of military intelligence, Sisi had publicly praised Mubarak as a father to his country. “Egypt’s flag will always continue to fly high under his leadership,” Sisi had said. He recommended to the generals just a few months later that they reject Mubarak. Sisi told the generals to declare loyalty to the people, not the president. They should shape their own transition. A modern state might call that treason. But the time was still ripening as we gathered that summer at the iftar. I had skipped lunch. As soon as the sun went down I dived into the hummus, grape leaves, lamb, couscous, and anything else I could reach. The Muslims around me only picked at the food. They were pacing themselves, they told me, for a long night of festive eating. They had just woken up, and they would nap the next day. Night is day and day is night during Ramadan in Cairo.